Fast-forward through a short mid-season rest, some quality trail time at home in the Northwest, I’m out on the East Coast completing the big mid-season campaign. 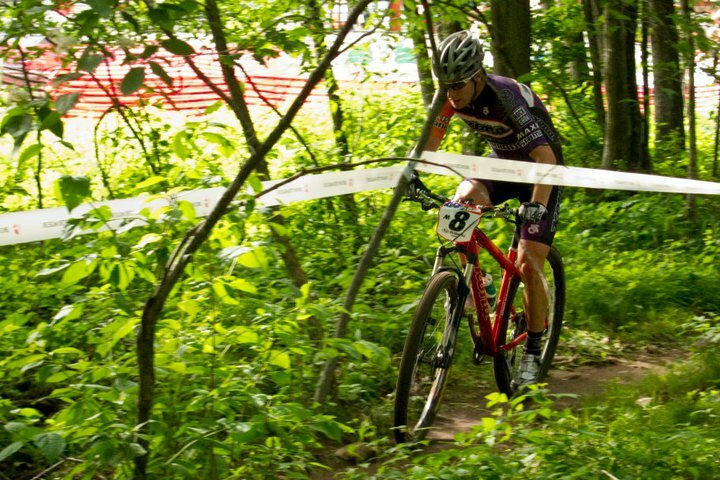 Five consecutive weeks of big races from Wisconsin to Quebec to New York to Idaho to Montana, with one already wrapped up – Pro XCT #4, Subaru Cup in Mt. Morris, Wisconsin. It wasn’t my strongest showing of the year, with a 14th in both the XC and Short Track…but good enough for the start of a long race campaign in which I want to peak towards the end, not the beginning. I was also reunited with Kona teammates Barry Wicks and Kris Sneddon, who put in impressive rides, finishing 7th and 11th in the XC, respectively. Thanks also to friends Ben and Giz for making the long drive up from Chicago to come cheer us on. All photo credits go to Ben. 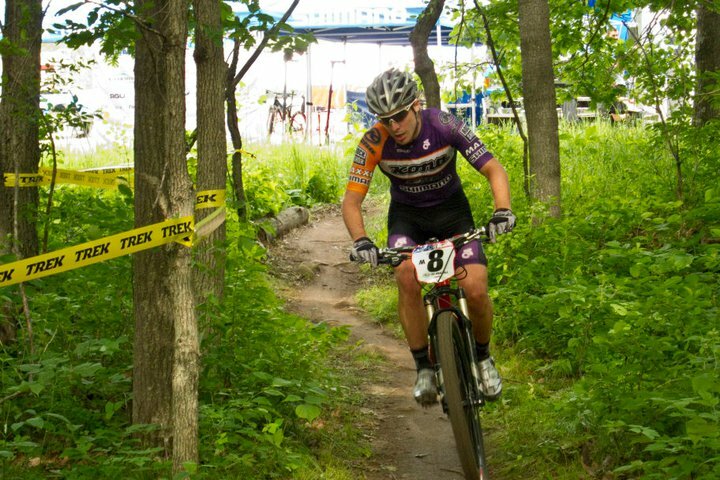 The Wisconsin weekend helped to sharpen my mental game after a few weeks off the race course. 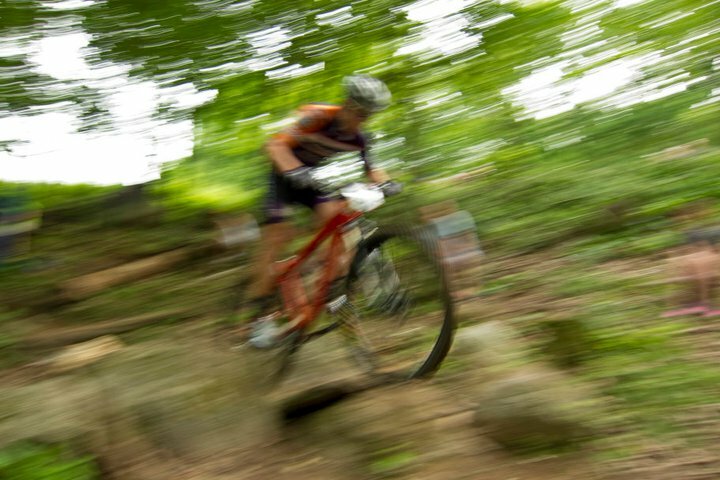 I’m focusing on channeling a good dose of confidence going into these next two World Cups and National Championships. Positive thinking is key. I know it’s cliche to talk about the power of positive thinking in sport, but to put it in context, I would say this: as I’m sure is the case for most elite-level athletes (or ANYONE who does something they are passionate about), there’s a constant dose of self-monitoring that weighs throughout the season. All synonyms for “monitoring” apply…analyze, compare, test, scrutinize…and through it all there is a constant need to balance between a positive and negative interpretation. With all the assessment that occurs through managing health, training schedule, travel schedule, race performances, job, family and social life, there is a lot of time to think about and question whether you are going about it all the right way. Best not to let the all questioning run out of control in a hundred different directions, otherwise, as I’ve noticed, it stifles ones ability to focus on the reinforcing self-affirmations that we all need once in awhile. Sharpening the mental game with a race is the equivalent of getting away from all the questions and focusing positively on the task at hand. Looking forward to the Mount Saint-Anne World Cup this Saturday. I’ve got unfinished business on this course! (remember the flat tire at World’s last year…) I’m going to reclaim a strong finish this time around.